heal and buff allies, but also damage and debuff enemies. Anas primary weapon is a sniper rifle that serves two purposes, she can both heal allies and damage enemies depending on who she hits. 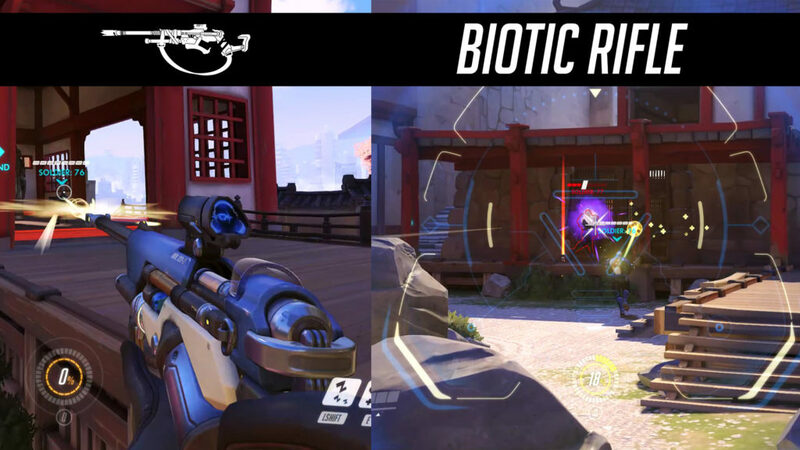 As a sniper rifle, it has the ability to zoom in when looking down its scope and it also changes her damage into a hit-scan. When un-scoped, her rifle shoots projectiles. Ana does not have the ability to headshot either damage or healing. Instead, the damage and heals are spread out over a duration of about 1 second. Ana fires a projectile from her pistol, sleeping the first target it hits. 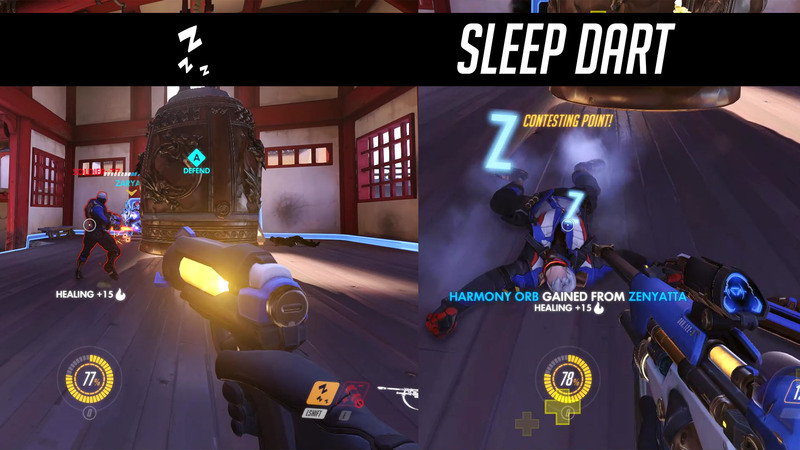 The sleep duration is very long, 6 seconds, but any form of damage will wake up the afflicted target. It is an excellent way to stop an enemy ultimate. Ana throws a grenade towards a target location. When the grenade explodes on impact, enemies take damage and cannot receive any healing for its duration. Alternatively, allies hit by the grenade are healed and receives a 100% increase in any heal received. Ana targets an ally, shooting a dart from her left arm. The targeted ally will receive a significant increase in damage, speed and also will take less damage from enemies over its duration. 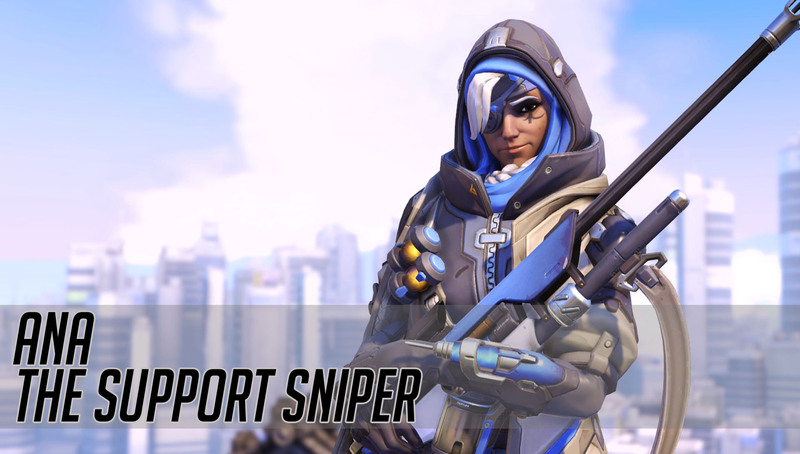 Ana is best suited for an in-between role of damage and support. Her heal and damage are all fairly average, so she doesn’t really fit the solo healer role. 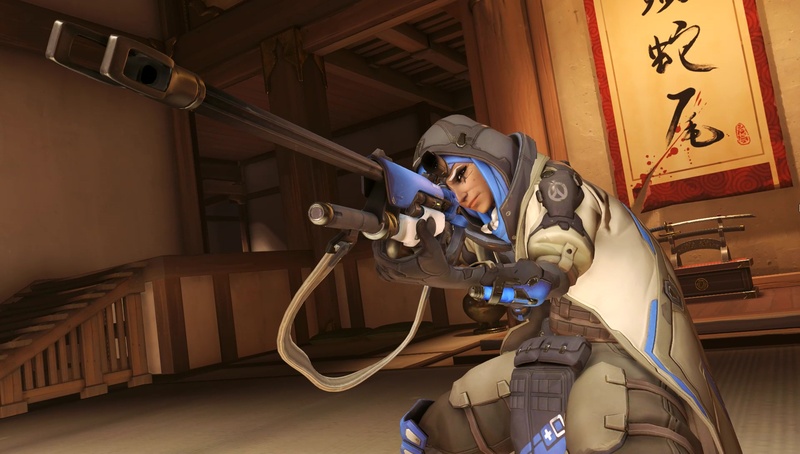 Ana can also deal a form of burst damage, she can deal around 170 damage to a target. After you sleep an enemy, in quick succession: Throw a grenade, shoot and do a melee attack. 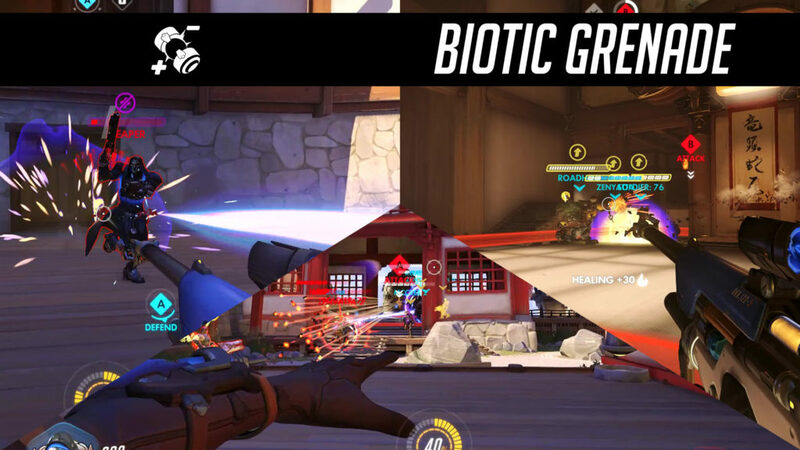 With her lack of mobility, it’s a good idea to stay behind your tanks during a skirmish supporting your team from afar. 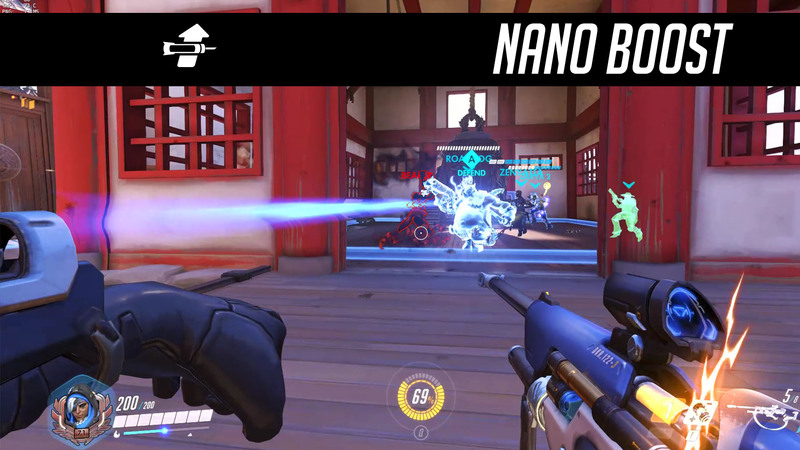 Since her shots also heal, Ana is the first hero in Overwatch that CANNOT shoot through allies.